Today I am going to cover the topic of Starting a business with no money. 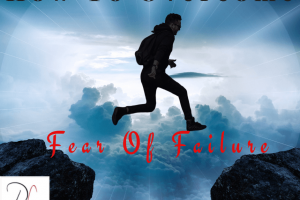 I have dealt with people wanting to know how to start a business with no dinero and have found the following 3 ways to help once and for all. 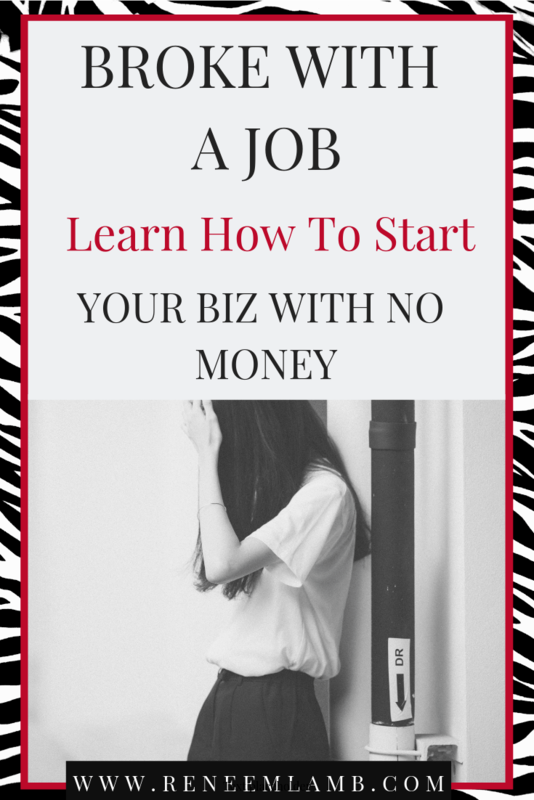 I am talking about this topic of starting a business with no money today because I have seen this topic all over social media and people asking me. To be quite honest this question frustrates the hell out of me. But I still believe that if you really want to be an entrepreneur you should get some sound advice. If you still have a job, keep it. Unless you have been fired or laid off, do not leave it to start a business. If the job is not paying you enough to divert some of it to getting your business up and running, then move on to Sound Advice 2. Find a way to get extra cash with the things around your house. You can sell clothes, jewelry, shoes on e-bay or Poshmark. Or you can sell your used books on amazon. If you think you do not have anything in your home to sell. Let me give you an example of thinking outside the box. I have a friend, who went to her friend who was a shopaholic, she said that I will help you to get rid of some of this stuff, by selling it online and promoting it on social media and we can split the profits. Stop asking that question. 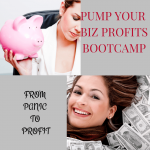 I truly believe that if you are going into business to make money, but you are not willing to find money to get your business up and running, then how do you propose that clients should pay you. You attract who you are, not who you aspire to be. The better question to ask is how to start a business with little money or under $100, $300, or $500. You need to change your outlook and/or mindset. Start looking for opportunities to get money or a loan, a higher paying job, a personal loan from family. And while you are working on getting money, work on creating your business via profitable biz idea, taking free trainings online to learn. Score.org – provides a wide range of online webinars and workshops for business owners. Score can also connect you with business mentors who can help you develop and grow your entrepreneurial skills. 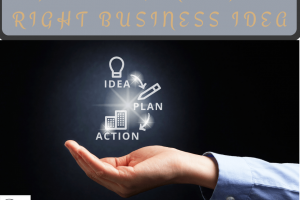 BizLaunch – provides free, specialized webinars for small businesses. 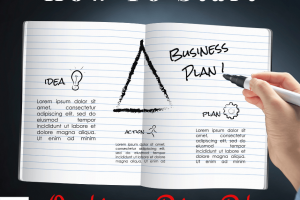 Small Business Development Center of Pennsylvania – has over 90 online courses specially designed for entrepreneurs. They have online programs from the SBA, IRS, Small Biz University, Virtual Advisor and more. 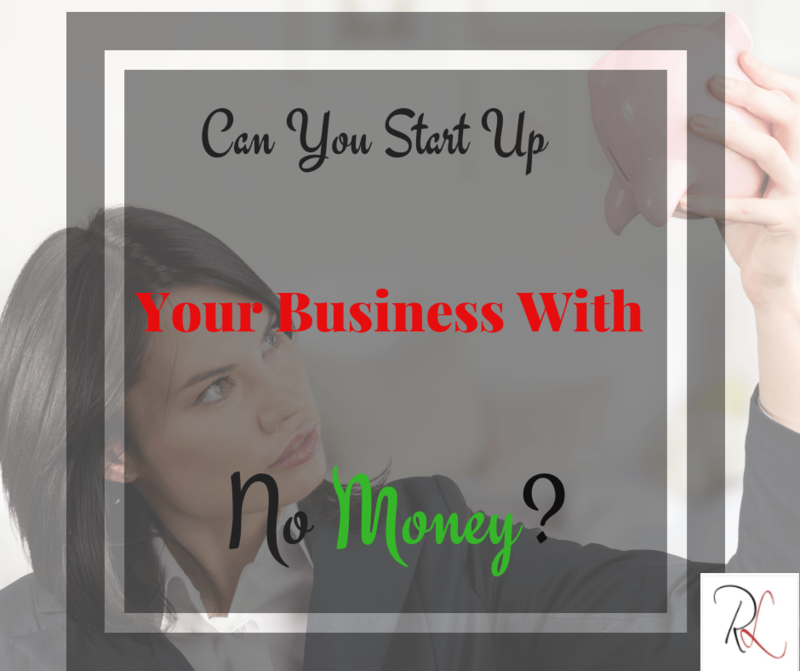 Do you agree with my take on starting a business with no money or you have another point of view I may have overlooked? Let me know your thoughts about this in the comments below.